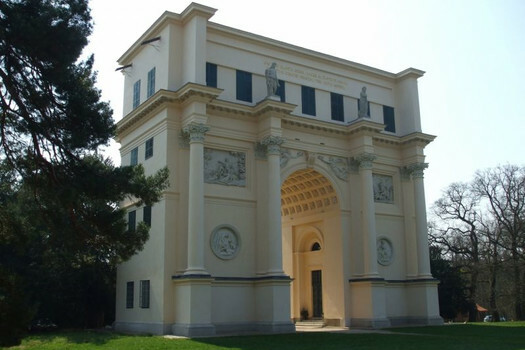 After having finished the farmhouse Nový dvůr and presenting the project for the hunting chateau Pohansko, the prince Jan I ordered his court architect Josef Hardtmuth to design another voluptuary building – Diana´s Temple. It is also known as Rendez-vous probably because it was used as a meeting place and facilities for hunters before hunting. Diana´s Temple is located near Valtice on the left of the road to Poštorná. 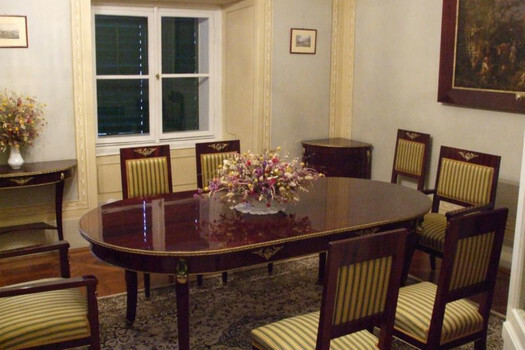 The architect Josef Poppelack managed the construction work from 1810-1813. 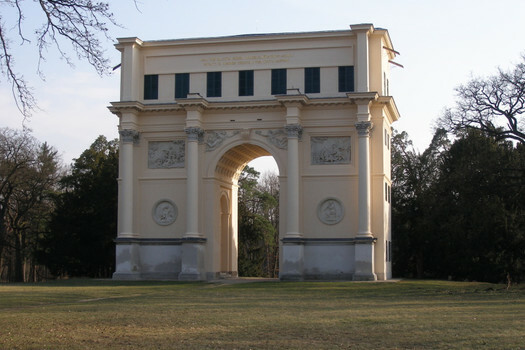 There were three reasons to build the triumphal arch which was re-interpreting an ancient tradition. At the time of its construction, the official historiography of the princely family of Liechtenstein promoted the Baroque ancestral legend that the Roman patrician Gaius Actius, who lived in the 4th century, was the founder of the family. 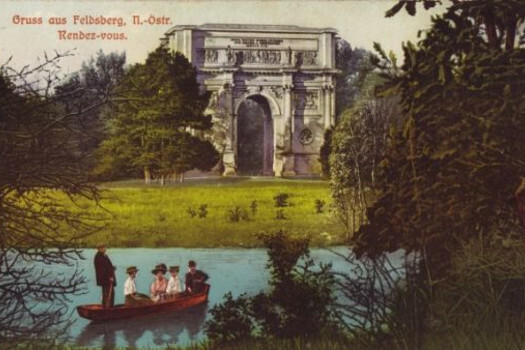 In addition, a similar arch was an often accessory of landscaped parks in England by which Jan I of Liechtenstein was inspired when he was planning the artificially built landscape. 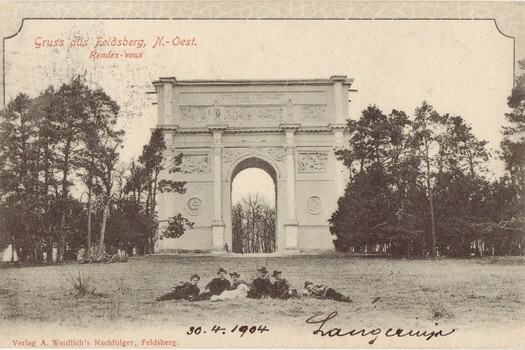 And perhaps it played a fact in the role that Jan I was a successful commander, a cavalryman, and a field marshal who became famous in the Napoleonic wars; after the Battle of Austerlitz, he also participated in negotiations of the Peace of Pressburg as a skilful and respected diplomat. 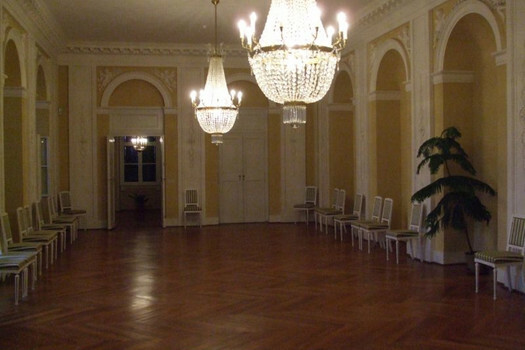 Apart from the former forester´s apartment, there is also a social hall which the historical sources say is „sixty shoes long and thirty shoes wide“. There are three reliefs which were made by the workshop of Josef Klieber on the South side lintel; they celebrate the goddess Diana in the Latin inscription: DIANAE VENATRICI EIUSQUE CULTORIBUS IOAN, PRINCEPS A. LIECHTENSTEIN MDCCCXII. (To goddess of hunting Diana and her admirers from Prince Jan of Liechtenstein 1812.) Between the pilasters on the pillars we can see Roman mythological and hunting themes. On the North side, we read in Latin again: HAS TIBI, BLANDA SOROR PHOEBI, SACRARIMUS AEDES: INTACTUS SEMPER CRESCAT TIBI LUCUS HONORI. (This house is dedicated to you, oh you shining Phoebos´ sister, and may the forest continue to grow unaffected). Allegorical figures on the tops of the pilasters illustrate the four seasons. The whole building is situated in romantic surroundings above a pond, and it is surrounded by the fully-grown Boří les forest which at an earlier time comprised of a lot of clearings enabling the English way of game hunting in the horse saddles. In the high season, you can also join a guided tour in the interior of the Rendez-vous.